The modern four-seat luxury convertible is tasked with making sense of a tricky balance. Not only must it partially capture the aesthetic allure of the two-seat roadster, it must do so while maintaining the usability and spacious interior of a larger coupe. That’s no easy feat because, no matter how you mash them together, eventually something’s got to give. But the 2009 CLK550 Cabriolet from Mercedes-Benz makes the best of the situation, maintaining typical coupe sophistication while successfully infusing the top-down flair typically reserved for the roadster experience. Overall though, it’s a car that’s best enjoyed in a relaxed rather than spirited manner, and truly rewards on longer drives due to its comfortable, ergonomic cabin and the flat-out grunt offered up by the 5.5-liter V-8 engine. If you’re looking for less power at a lower price point, it’s nice to know there’s also a more affordable V-6 engine on offer. There’s no replacement for the low-down grunt provided by a big V-8, and with peak torque coming at just 2,800 rpm, the CLK550 feels potent at any speed. Despite the continued use of a soft-top roof, wind noise isn’t an issue in the CLK. In fact, it’s downright quiet inside. A solid list of options accompanies the CLK550 standard, though the CLK350 might leave you checking a few extra boxes. Like most convertibles, trunk space is limited, though we’ve certainly seen much worse. The backseat isn’t very useful for adults, but it’s a nice option when you’ve got some extra cargo, and children aren’t likely to have legroom issues. Not only is navigation not included as standard (it arguably should be at this price), its also unapologetically last-generation technology. Not typical Mercedes-Benz. The CLK550 Cabriolet works best as a point-to-point vehicle. Get in, put the top down, eat up huge chunks of mileage in total comfort. While it doesn’t have the weapons-grade aural splendor of Mercedes-Benz’s AMG offerings, it makes a suitably throaty sound and we’d hardly consider it a slouch – 0-60 is dispatched in a mere 5.2 seconds. Not bad for a car banging on the two-ton mark. But on a back road, the CLK isn’t a car you attack hairpins with. The steering is a bit wooly and the chassis too soft (like most convertibles), so it’s at its best when driven enthusiastically, not at qualifying pace. You won’t be disappointed when you’re forced to put the top up either, as road and wind noise are surprisingly absent from the experience. The CLK350 Cabriolet gets its power from a 3.5-liter V-6 engine, which makes 268 horsepower and 258 lb-ft of torque. While those aren’t bad figures, the real story lies in the 382 horsepower, 391 lb-ft 5.5-liter V-8 that resides under the hood of the CLK550 Cabriolet. All CLKs feature rear-wheel drive and a seven-speed automatic transmission. If you’ve shelled out the premium for a drop-top, chances are you’ll be under the sun rather than the soft-top during the majority of your drives. It’s nice then, that Mercedes-Benz had the foresight to include heated seats as standard, so you can enjoy your cabrio no matter the season. The CLK550 comes standard with sport suspension, which manages to endow it with surprising agility in the turns without simultaneously being overly harsh over rougher patches of asphalt. Centered within the speedometer lies a circular digital screen that displays everything from navigation and fuel economy information to what’s playing on your iPod. Aside from being stylistically appealing, it helps to keep your gaze on the road and away from the center console-mounted screen. Audiophiles will appreciate the optional Harman/Kardon 10-speaker, 240-watt sound system with its slick rear seat-integrated subwoofer. Navigation and keyless go are available as options, but the nav is a real letdown compared to newer systems on the market – even other Mercedes-Benz nav units. Being a relatively heavy car for its size, you’d expect the CLK to be an indulgent drinker. However, intelligent use of a seven-speed gearbox has avoided a worst-case fuel consumption scenario, and the numbers will probably surprise you. The CLK350 manages 17 mpg city and 25 mpg highway, while the V-8-powered CLK550’s numbers drop to 15 city, 21 highway. Both engines achieve an environmentally friendly Bin 4 ULEV rating. Inside the CLK550, you’ll find a sophisticated interior befitting a coupe, not a roadster. Leather upholstery adorns the supremely supportive seats and many interior surfaces, and the quality is immediately apparent upon contact. Wood trim can be had in either Burl Walnut or Black Ash. Attractive 18-inch AMG wheels are standard on the CLK550 Cabriolet. Compared to the 17-inchers of the CLK350 they fill out the wheel wells, contributing to a more substantial exterior look. Also standard on the CLK550 is subtle yet striking sport body kit. The CLK550 comes in at an MSRP of $64,800, but with this level of quality built-in, you feel like you’re getting your money’s worth. That puts it in line with its main V-8 powered competitors, the $57,125 Audi S4 Cabriolet and $64,950 BMW M3 Convertible. However, compared to the $83,200 Jaguar XKR Convertible and $84,400 BMW 650i Convertible, the CLK is an outright bargain. 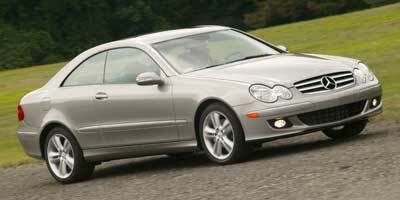 Those on a lower budget would do well to check out the $56,100 CLK350. If you’re looking for a luxurious, top-down cruiser without the high SL price tag, this may be your best bet. It has all the V-8 power you could want, with an interior that’s typical of the Mercedes-Benz experience, and we mean that in a good way. With all the automakers emphasizing their new, hardtop convertibles, the nearly silent cabin of the CLK550 will make you wonder what all the fuss is about.